And here's the tutorial. Hope you like it, and please subscribe to my channel ☺. At 6,500 now, if I'm really lucky I might reach my goal of 10k by the end of 2014... but it'll be close! This one's really quite easy to do - three steps and you're done. 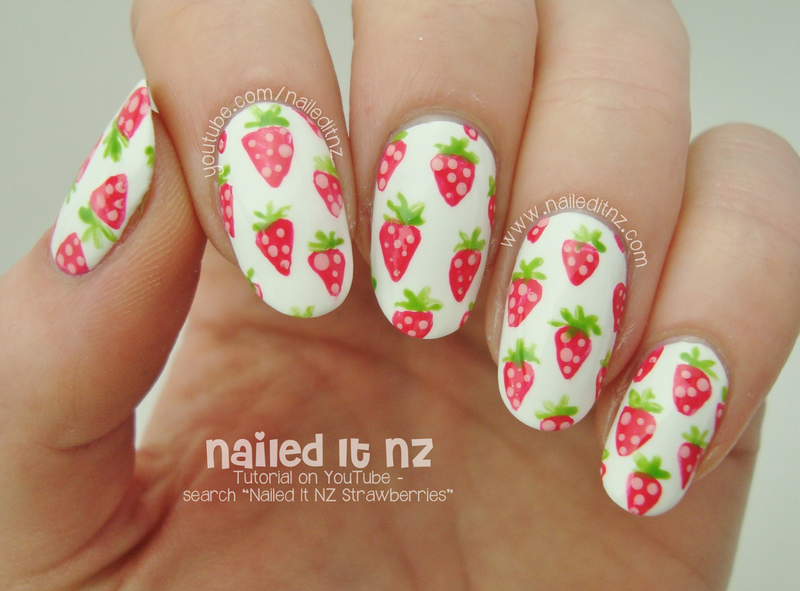 And while if you look at each individual strawberry they're far from perfect, as a group they're just adorable. 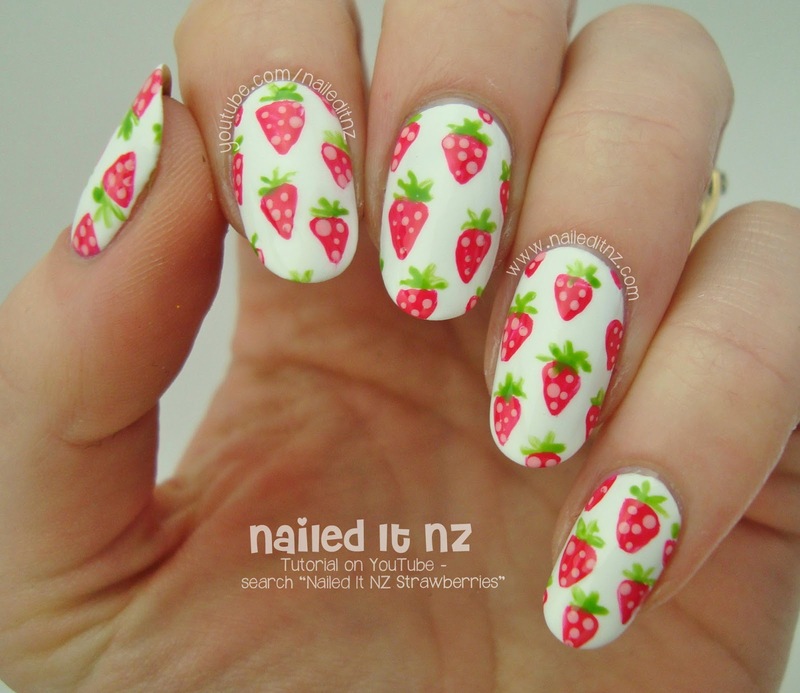 I've always been a fan of patterns, which is another reason why I tend to go for nail designs like this. 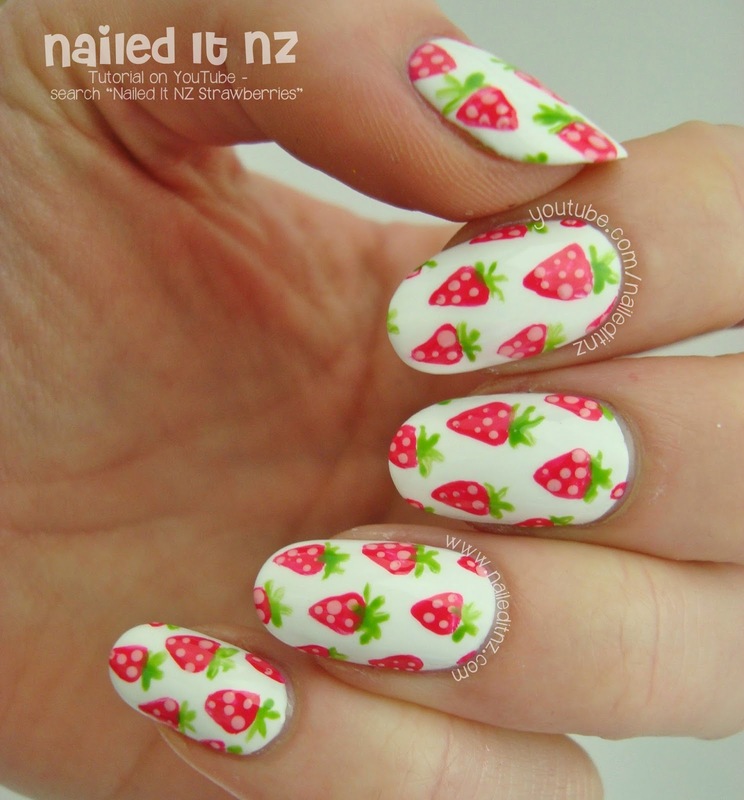 That's one of the interesting things about being a nail tech now though - you learn different ways of doing nail art. Sometimes a client will come in with a picture that I never would have considered trying, but then I LOVE it! Breaking out of your comfort zone is always a good thing ☺. 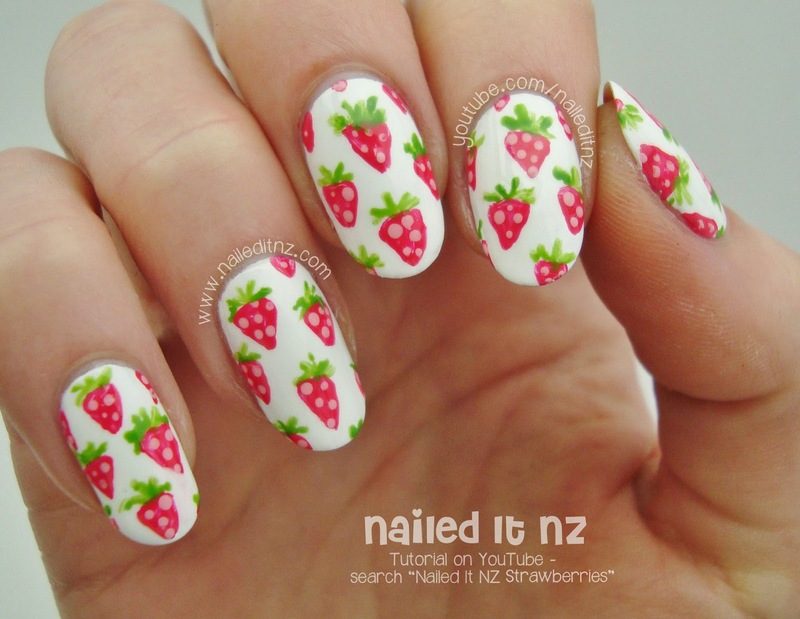 Hope you like this strawberry nail art and the tutorial.